New? NEW??? Where were you during the 80s class war? Seriously, it's good to see it back. 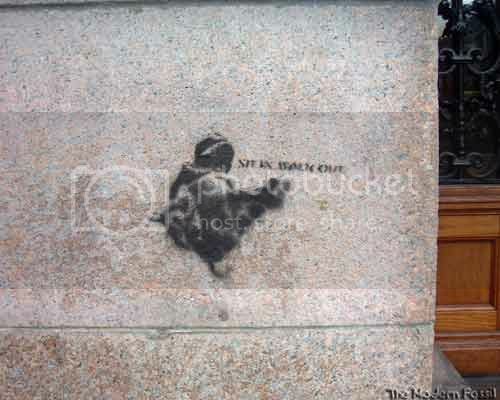 It would be nice if it remained as 'protest' art rather than morphing into the sad vanity of tagging, but hey! I'm just getting old. Was going to provide the obligitory link to the daddy of the 'new daddy on the block', but http://www.banksy.co.uk seems to be down or gone. banksy was/is the best! but there's alot of others who do some good work as well. the council finally got round to cleaning th one off outside the arches recently, which was a shame, i really liked that one. 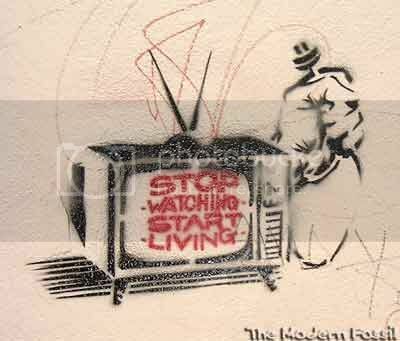 caine wrote: banksy was/is the best! but there's alot of others who do some good work as well. Was that the one on Midland Street Damn I wanted to get a pic of that one. yeaqh, thats the one. its not totally gone, but its been well scrubed! you could probably get a photo with a good flash. The star wars AT-AT one is between Byres Rd and Ashton Lane..opposite the Ubiquitous Chip. It's ace! Channel 4 doing a spot of guerilla marketing for Big Brother, perchance? 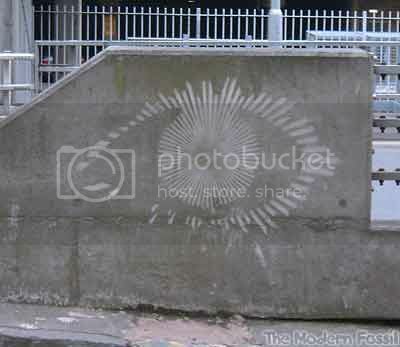 Anyone seen those weird glyph things that appeared this week in the Gorbals, near Durty Nellie's? I saw them Rev, there are a few behind the Citizens Theatre,worth a photo ,very strange?